World Cup will be filmed and shown live in 3D | What Hi-Fi? In all, 25 matches will be filmed in 3D, including the opening game between South Africa and Mexico on June 11th, the quarter finals on July 2-3, semi finals July 6-7 and final on July 11. Sadly the England vs USA game on June 12 will not be filmed in 3D due to "logistical problems", and of the 25 games in 3D, none involve England's first three matches. Eight matches will be shown live in 3D at 50 cinemas and five other 'entertainment venues' across the UK, it was announced this morning. With BBC and ITV having the official rights to the games it won't be on Sky's 3D service, which launched last weekend, instead using a closed network to broadcast to venues up and down the country. You won't be able to watch any games in 3D at home, unlike viewers in the US who will have access to ESPN's 3D channel, so you'll need to head out to a venue near you and pay to watch matches in 3D. Sony has also announced it will show 25 promotional trailers at 200 Sony Centres across the UK, and Sony Home Entertainment will produce the official World Cup 3D Blu-ray that will be available later this year. There will be seven 3D cameras in five of the 10 stadia in South Africa, with four at pitch level and three higher up. 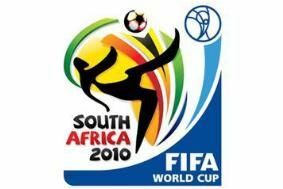 Games will be filmed in 3D at Soccer City and Ellis Park in Johannesburg, Durban, Cape Town and Port Elizabeth. "Lower camera angles make more sense with 3D, giving more intimate coverage," says David Bush, marketing director of Sony Professional, Europe. Some coverage from the standard 2D cameras will be converted to 3D and fed into the 3D broadcasts. "The 3D feed from the 25 matches will be made available for broadcast on 3D channels, which can be enjoyed by consumers on their 3D-compatible TV sets in the comfort of their home [although not in the UK]," says Nical Ericson director of FIFA TV. "While discussions with major broadcasters are ongoing, I am pleased to announce the first confirmed partners for the 3D live broadcasts, who are ESPN in the US and Sogecable in Spain." FIFA has appointed Swiss-based Aruna Media AG to manage the exclusive 3D cinema and entertainment venue rights for live games in 3D.